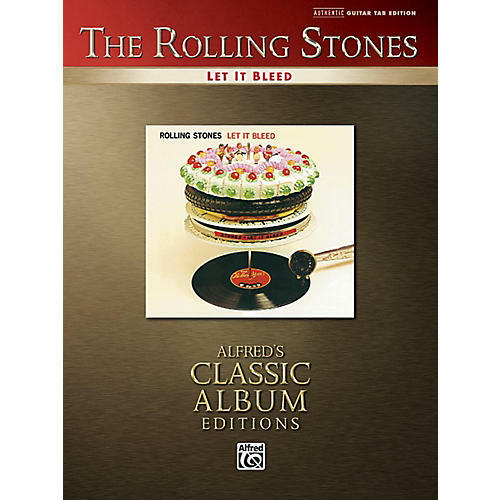 Alfred has expanded the Classic Album Editions series with the new Authentic Guitar TAB edition of the Rolling Stones' legendary record Let It Bleed. Let It Bleedfeatures the hit songs "Gimme Shelter" and "You Can't Always Get What You Want." This book provides the guitar parts for each song as they were recorded. Titles are: Let It Bleed * Love in Vain * Midnight Rambler * Gimmie Shelter * You Got the Silver * You Can't Always Get What You Want * Live with Me * Monkey Man * Country Honk.